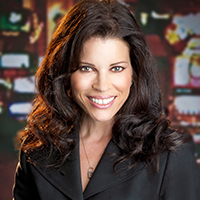 Katie Lever began her current role as general counsel and senior vice president of legal compliance with supplier Bally Technologies in 2013 when the company acquired supplier SHFL entertainment, where she was general counsel and executive vice president. Before that she had spent five years as executive vice president and general counsel with cash access provider Global Cash Access and had been partner and associate at law firms Brownstein Hyatt Farber Schreck and McCarthy Tetrault, as well as associate at Catalyst Corporate Finance Counsel. She holds a law degree from the University of Windsor, is vice president of the International Association of Gaming Advisors, has spoken at multiple gaming conferences and been featured in a number of publications.